Figuring out what to wear on safari may seem daunting. 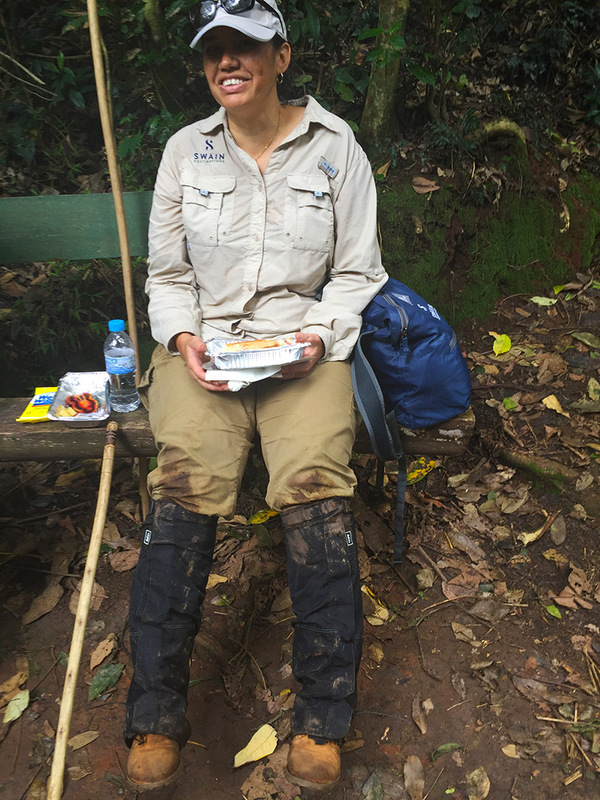 Many travelers assume that technical gear is required, but your favorite baseball cap, broken-in boots and comfy tees are perfectly sufficient. Absolutely browse your closet before splurging on a new wardrobe. Though if you decide that you need some updates, invest in everyday basics that you’ll wear again. Layers are key. 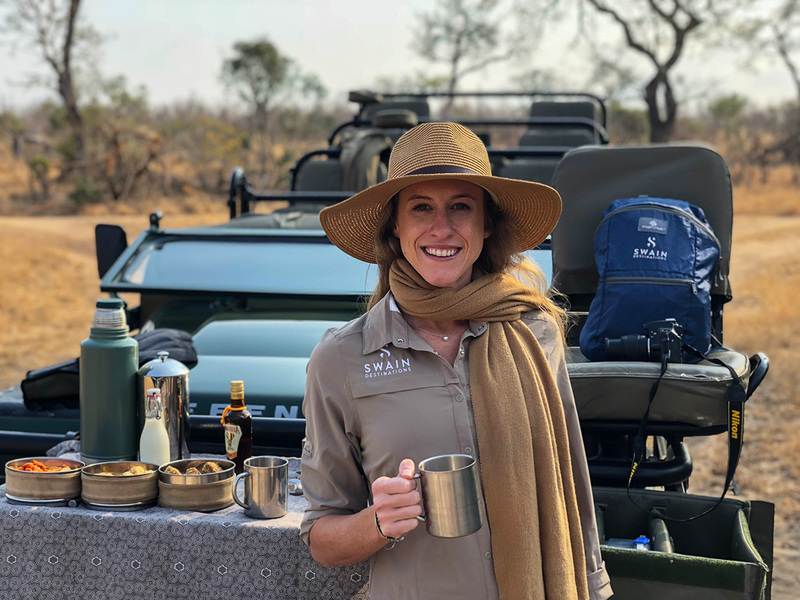 Most game drives start before the sun is up, so you’ll want a jacket and pants for the brisk mornings. By midday, you’ll be comfortable lounging around camp in a t-shirt and shorts. As dusk approaches, the temperature begins to drop again. Start off with a tank top or t-shirt, add a second layer such as a lightweight sweater or linen long sleeve shirt and top it off with a jacket or vest. Long pants are the best option. A scarf is handy to protect you from the wind and dust. It also adds an extra layer of warmth for those chilly mornings and evenings. Luxury camps even offer blankets and hot water bottles to keep you cozy. Aim for minimalist, versatile pieces. Dark colors attract heat so it’s best to stick with neutrals. Plus, it makes it even easier to mix and match. Tan, cream, gray, pastel and green fabrics are best. 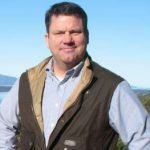 Long sleeve shirts – linen shirts, button downs, light sweaters, athletic quarter zip shirts, etc. Ultimately, wear what you are most comfortable in! Luggage restrictions for smaller charter flights are typically around 33 pounds inclusive of hand luggage, but don’t be too concerned! The complimentary laundry service at most camps have a quick turnaround so you may rock the same outfits day after day. Visit the Swain Destinations Online Travel Store to find the items you may need for your upcoming adventure! Though I was born and raised in Philadelphia, a city that values tradition, my path of life has been not so standard. 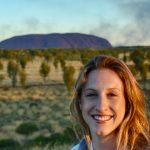 I’ve lived on the East and West coasts of the United States, and have ventured over the Atlantic and Pacific oceans, studying food and wine in Italy, and working in the travel industry in Australia. Travelling across the globe has allowed me to recognize my true passion: helping others experience this beautiful, yet varied world that we live in. I have a wandering soul that continually urges me to visit new countries, meet new people, and learn new things; I love to adventure to faraway destinations, discovering unfamiliar cultures, and tasting their local cuisine. Each year, we take on an expansive search to find the perfect images for our annual Travel Catalogs. Our goal is to find imagery that captures each destination’s beauty and mystery, while inspiring wonder and excitement to travel! After searching through countless stunning images, we became captivated by these three beautiful photos from Johan Lolos’ portfolio. Johan Lolos, a native Belgian, is a self-taught photographer that travels the world capturing breathtaking moments in time. Just as important as the image, is the story behind it. Follow the journey below. Can you tell us the story behind each image? I took that photo about a year ago in Namibia. It is an interesting story. 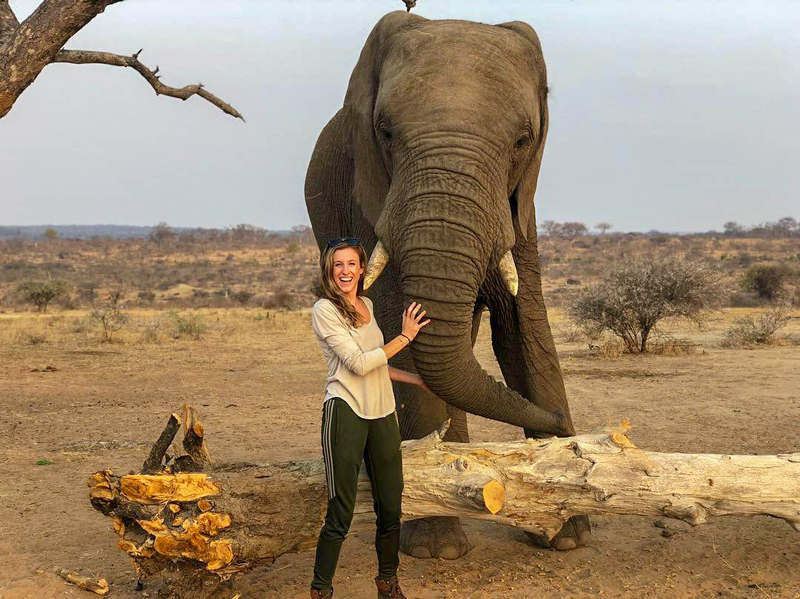 I was in Namibia for a personal project – I just wanted to go to Africa to experience a safari. I got in touch with a private reserve called Erindi and stayed for a week. Every day we would go on an early morning game drive to spot wildlife. The drives lasted all day. 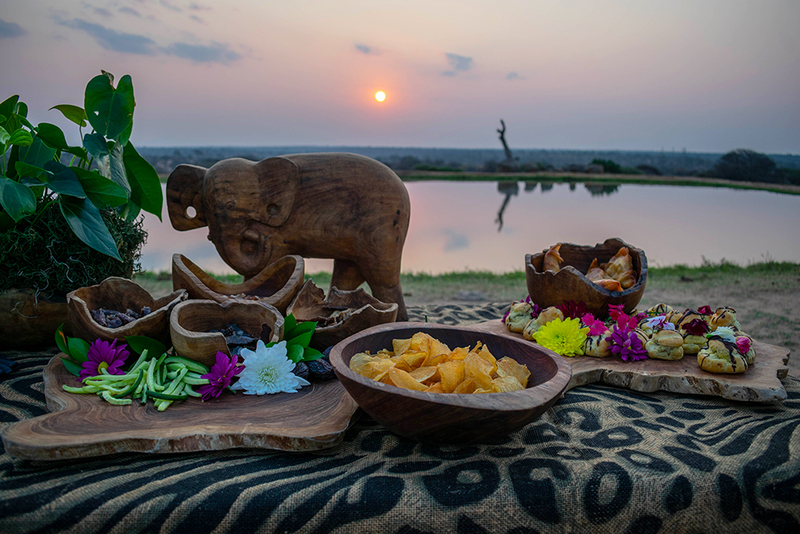 I took a few great images that I’m very proud of, but that specific image of the elephants, I took from the restaurant at the lodge. Basically, the lodge is inside the reserve and from the balcony of the restaurant you can see a part of the reserve with water ponds. 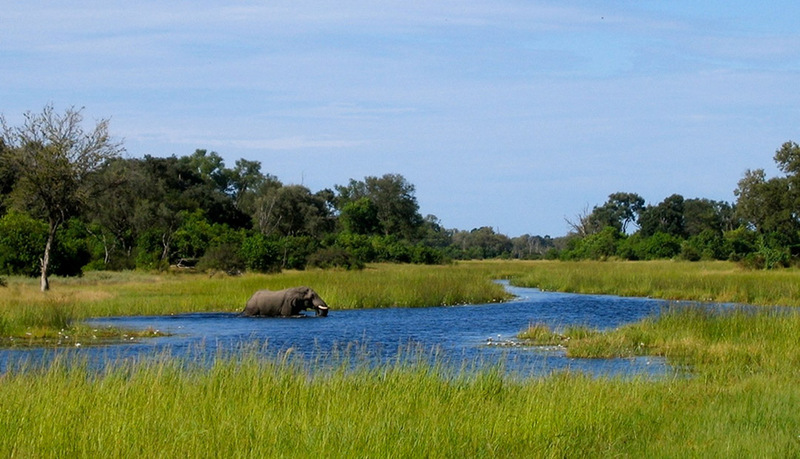 The ponds draw in elephants, giraffes and other kinds of wildlife. One morning I was having breakfast with no intention of taking photos due to light that day. Then, I saw this family of elephants coming from far away. They were walking towards the water ponds, so I quickly grabbed my tele-zoom lens and started to take photos of them. I was very happy with the results. Spending a week in that reserve is one of my best memories and I would love to go back. This photo was taken five years ago in early 2014. At the time, I was living in Australia after graduating school in Belgium. I had bought a one-way ticket so I could spend a year there. I lived in Melbourne for a few months where I mostly worked, nothing exciting. Then January 2014, I went on my first big travel mission, not as a photographer. 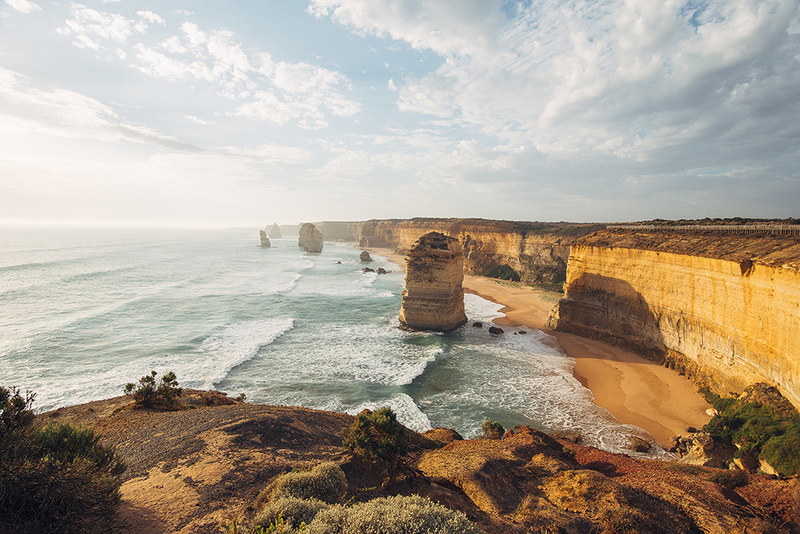 I wanted to do the Great Ocean Road, and my friends and I rented a car for a three-day road trip. We, of course, stopped at the Twelve Apostles where I took a few photos. It was the very first time my images went viral online when National Geographic reposted one of my photos. At the time, Instagram was just beginning to get popular and I figured it would be a great opportunity to make a living out of it. I saw that NatGeo, every Wednesday, would repost images from followers who used their hashtag – #NatGeoTravelPic. My goal was to be featured. Every photo I posted, I was using that hashtag and one day, they shared my photo of the Twelve Apostles. I completely freaked out and woke everyone up to show them. I went from a few hundred followers to a few thousand followers overnight. That’s how everything started for me. This photo was taken in Myanmar in April 2018. The woman in the photo is my partner, Delphine. We had gone on a three-week trip and it was my first big photography trip in Asia. I had spent a week in Bali before, but nothing beyond that. I had never been in Southeast Asia before. It was a private project mostly about having fun and discovering new cultures. When we visited Bagan, my goal was to shoot one of the famous temples. I began looking around to try and find a more remote temple with less tourists. So many people come to watch the sunrise or sunset over the temples. My mission was to find, through Google Maps, one remote temple so Delphine and I could enjoy the sunrise. In the distance, we could see the famous balloons soaring over the temples. It was an amazing view. Finding a remote temple was not easy because there are so many temples in Bagan – upwards of 5,000! The biggest ones were famous so there were hundreds of tourists there every day. I wanted to not only find a remote temple, but also find a temple with a nice view. Not all of them offer the best views. However, every year, Myanmar is more restrictive with entry to the temples. In 2017, the Myanmar government shut down all access to temples. It is almost completely forbidden to climb the temples for safety and conservation reasons. 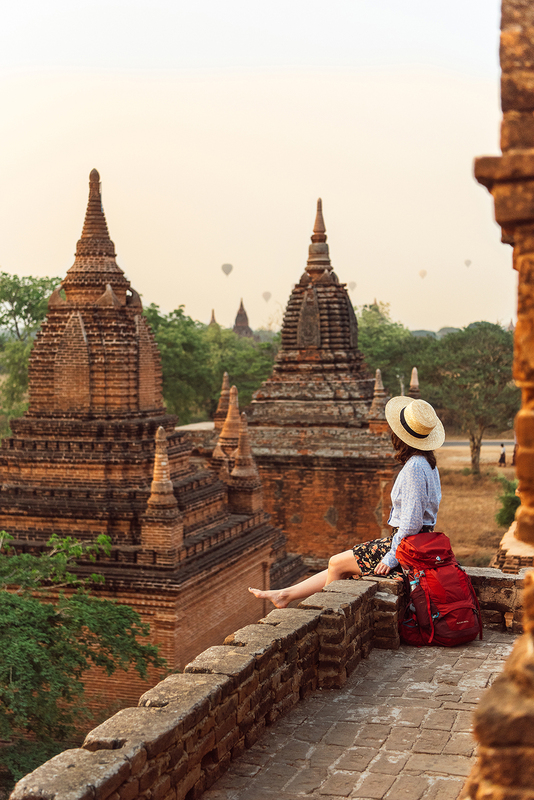 Currently the Bagan temples are not a UNESCO World Heritage Site, so the new rules are to increase the chances that Bagan will be included on that list. I was lucky enough to find a temple that was not fenced off which is how I was able to take the photo. Africa is a place of enchantment. The power and pure energy of this ancient land and its inhabitants is palpable. As I cruise along an unpaved road, I scan the horizon for civilization and instead spot countless impalas, warthogs and giraffes. A refreshing breeze whips through my hair as the late afternoon sun warms me. With an abrupt stop, seemingly in the middle of nowhere, my field guide, Jason, instructs me to hop out of the vehicle. Camp Jabulani‘s Elephant manager, Tigere, greets me with a genuine smile. He asks if I am nervous about meeting the world’s largest land animal. I respond quickly, “of course not”; there’s no possible way for me to be anxious due to Tigere’s calm demeanor. With ten years of experience under his belt, I trust that he will keep me safe in this unfamiliar environment. 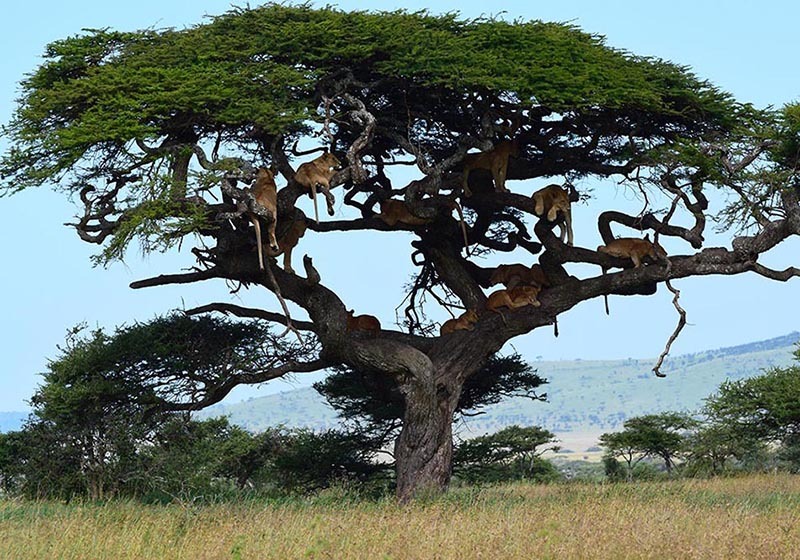 We wait patiently in the middle of the open savannah near a fallen Acacia tree. Four tons of sheer mass silently approaches us. His name is Jabulani. I gently walk towards this humongous creature and place my hand on his trunk. Coarse bristles and hardened mud cover his wrinkly skin. He has scraggly eyelashes and human-like eyes. There’s an instant sense of mutual appreciation and respect. I dump pellets of grain into Jabulani’s trunk and his hot breath fogs my sunglasses. His trunk twists and turns in every direction. The elephant’s strength, compassion and intelligence intrigues me. I am in awe of every moment. After Jabulani finishes two canvas sacks of food, his caretaker escorts him back into the bushveld. My soul is bursting with gratitude for this deeply personal interaction. “Where would we be without this herd of elephants? Two days will stand out in my mind as long as I live. The day that Jabulani arrived as a tiny baby – terrified and on the brink of death. 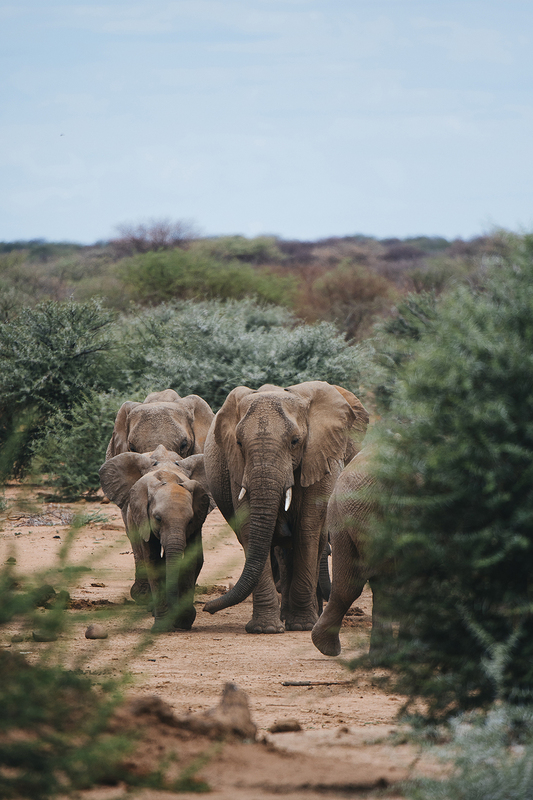 And the day that the rest of the herd arrived and welcomed Jabulani as one of their own.” – Founder of the Hoedspruit Endangered Species Centre (HESC), Lente Roode. 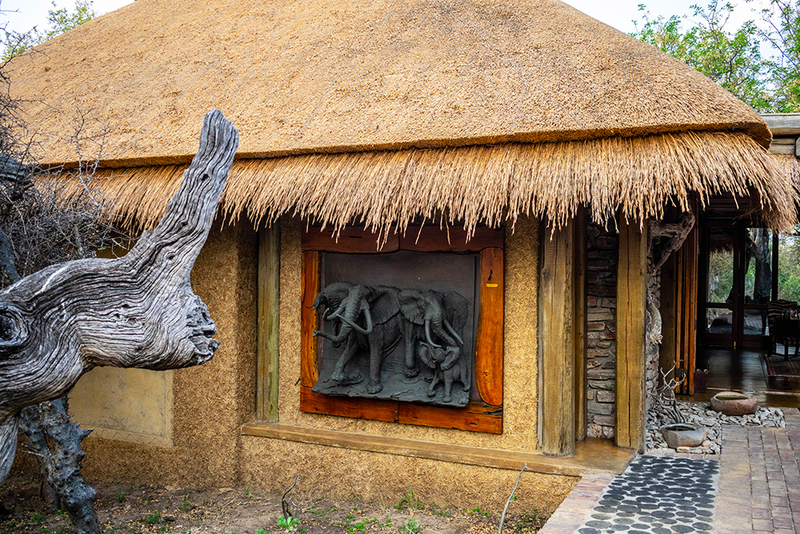 The Roode family, owners of HECS and Camp Jabulani, adopted these helpless elephants and now offer them a sustainable home. 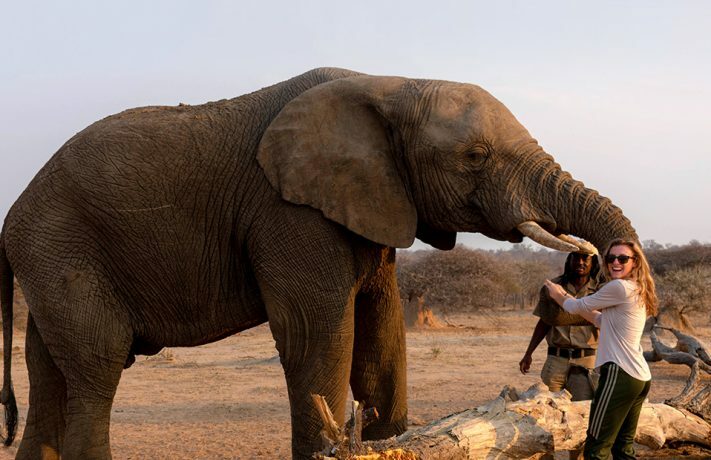 The love for these elephants is at the core of HECS and Camp Jabulani and is the purpose for their existence. 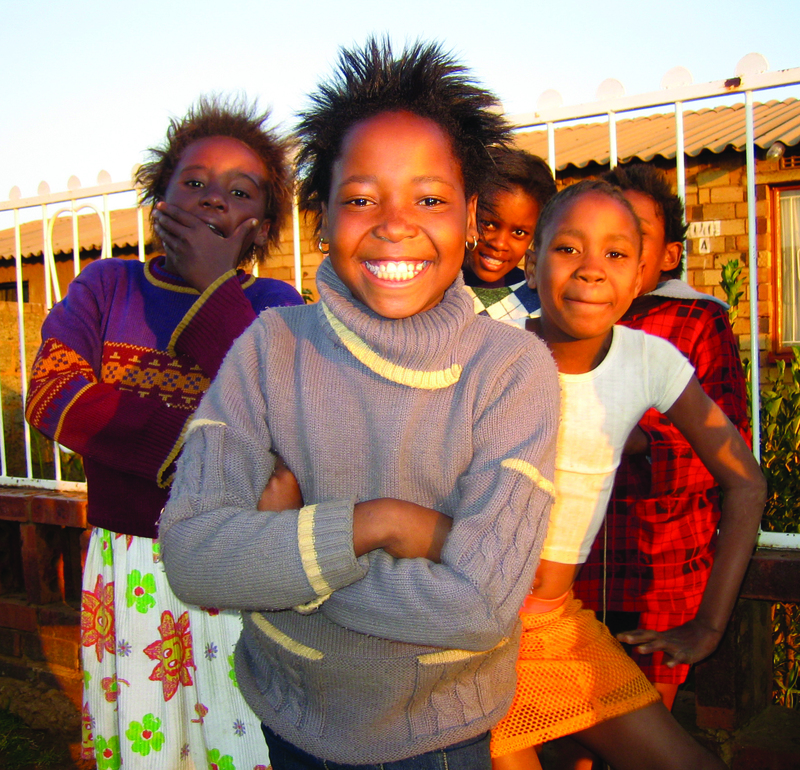 Camp Jabulani’s work with these orphaned animals is intertwined in the design of the camp. Elephant emblems adorn the pillows, coasters and walls. Seven villas overlook the dry riverbed. 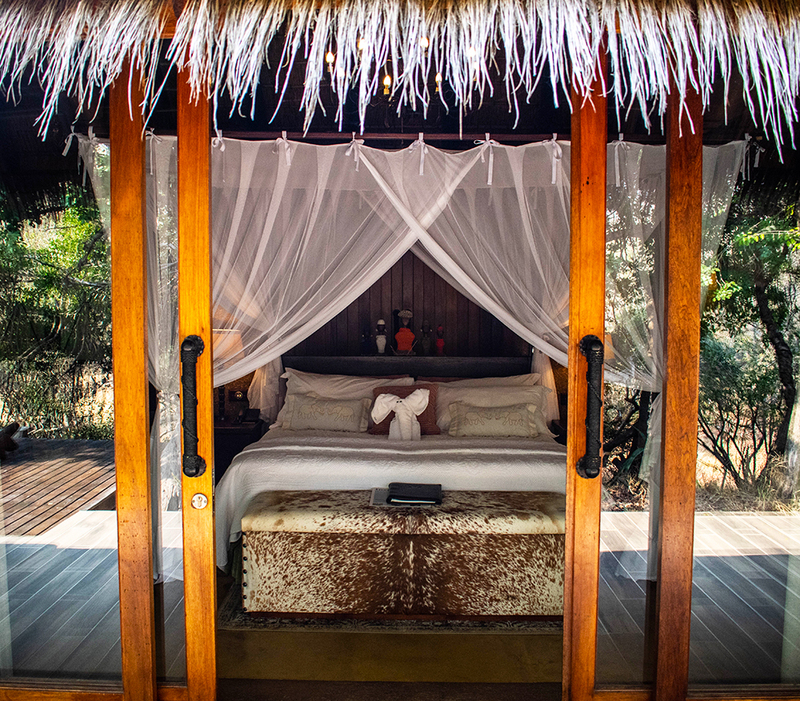 Each villa is fitted with canopy beds, mahogany furniture, cozy fireplaces and exquisite craft pieces such as colorfully beaded African dolls. These accents are handcrafted by local artisans and mixed with heirloom pieces. It immediately makes you feel at home. Due to the intimate size of the camp, you get to know staff members and fellow travelers right away. Oil lanterns and a bonfire provide for a traditional South Africa braai (barbecue). Locals pop by to sing soulful songs and dance under the starry sky. As intrepid travelers, the Roode family offers the unique adventures that we crave. The passion of those who work in this special part of the world is profound and inspires all who have had the privilege to experience it. Guests of Camp Jabulani are actively contributing to the well-being of these magnificent animals. This creates personal fulfillment and enriches memories to last a lifetime. 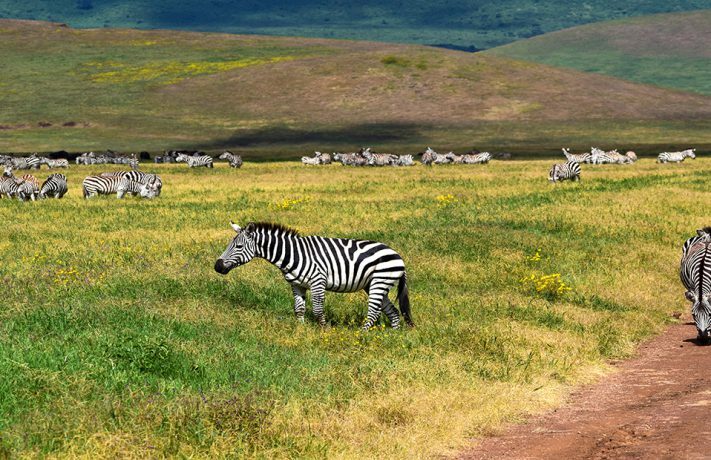 Tanzania is a beautiful country covered with sprawling hills, open savannas teeming with wildlife and the magnificent Mt. Kilimanjaro. 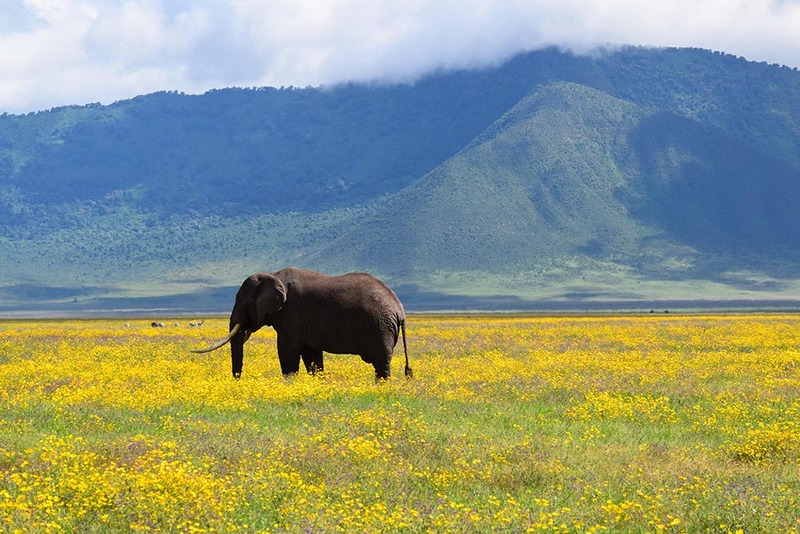 I recently spent ten days in Tanzania, and the biggest highlight of my trip was Ngorongoro Crater. I last traveled to Tanzania back in May, and after spending four amazing nights exploring the Serengeti, I made my way to the highlands. On the foothills of the highlands, we stopped for lunch just outside of the Olduvai Gorge National Park, overlooking the enormous herds of the great migration. Just after lunch we stopped at one of the many Maasai Villages to learn a bit about their culture. While these villages are a bit commercialized, you still see firsthand how the Maasai people live. After the Maasai village visit, we made our way up the steep hills of the Ngorongoro Crater. I kept my head on a swivel, as the views on the way up were remarkable. During the three-hour trek we passed a few dozen villages before we reached the rim of the crater. At the summit our gracious guide pulled over so that we could admire the beauty of the interior bowl. It was breathtaking. On our way back to the lodge we were lucky enough to get a rare glimpse of a male leopard right on the main path and trailed the majestic animal for fifteen minutes. Upon arrival at the lodge, I dropped my bags at the front desk and once more took in the astonishing views of the beautiful crater floor. 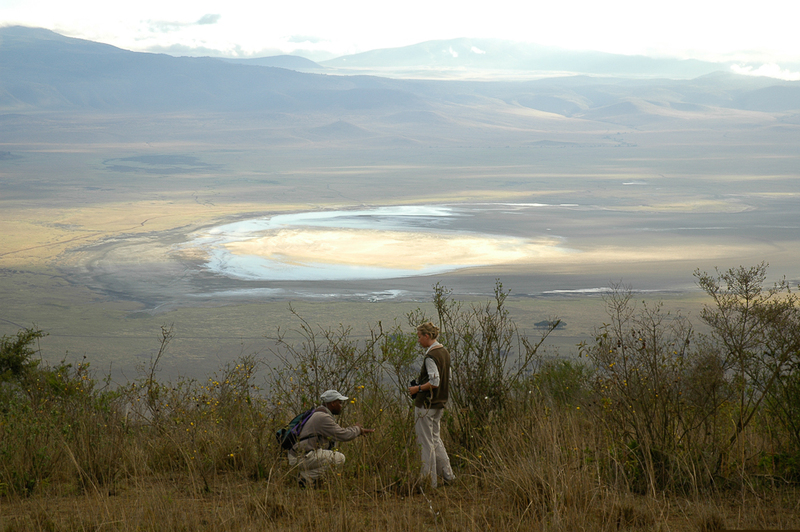 The next day was dedicated to game viewing in the crater. 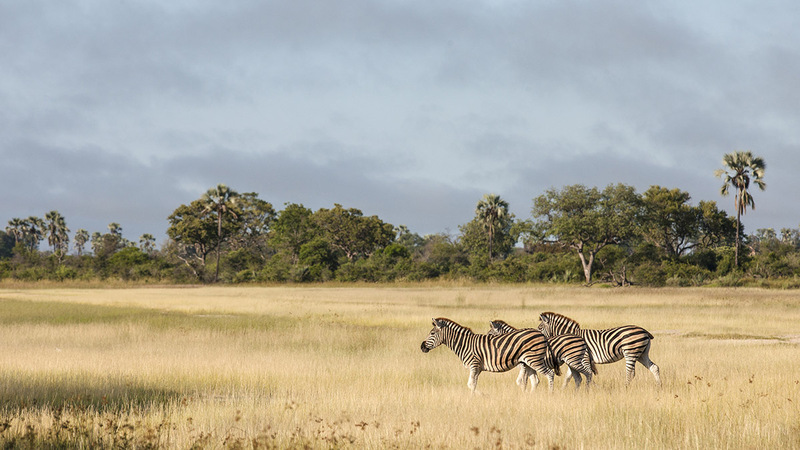 Among the incredible landscapes of the bowl, it did not take long to spot the Big Five animals. From the open plains of the crater, to the densely vegetated landscape, to the marsh area, which I learned is where the elephants like to go for their final resting place, I thoroughly enjoyed every second of my day. What amazed me is how big the crater floor is in size. Viewed from the rim the day previously, I thought to myself there is no way you can spend a whole day below – but was I wrong. 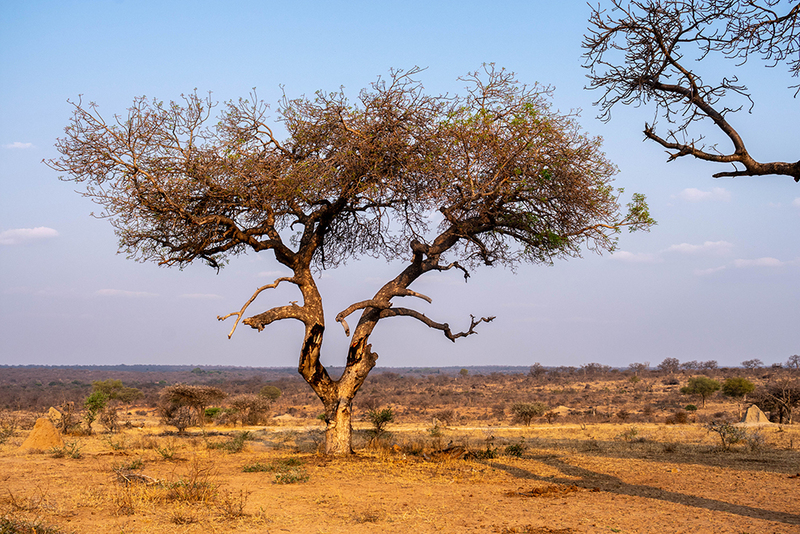 This area, I believe, should be in every Tanzania itinerary, and I cannot wait until my next visit. 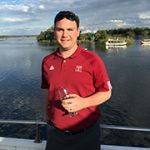 I joined the Swain Destinations team in October 2014. Born and raised in Philadelphia, I have always had a deep passion for travel in various parts of the world. Africa has always been my dream destination. From the open plains in the Serengeti and Maasai Mara to the beautiful sights of Cape Town, South Africa’s Mother City. 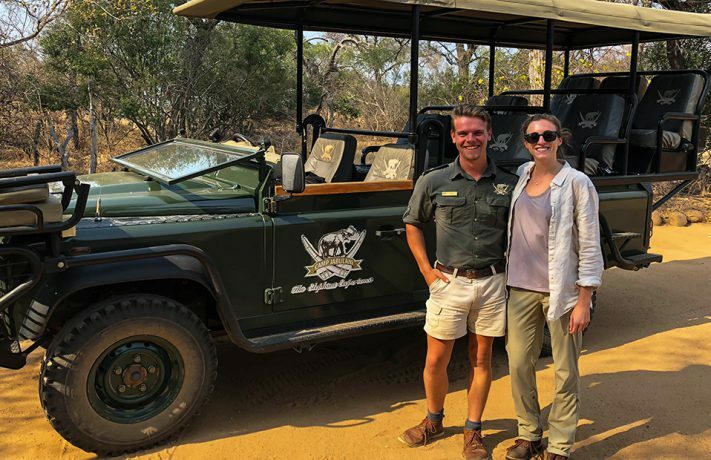 I am excited to help people experience the thrill of their first Safari. There is a magic in Africa that touches everyone who visits and leaves you with a feeling of wanting to go back! Rwanda is a very clean country and quite impressive with all the progress it has made from the genocide days in the 90s. Every last Saturday of the month, the people come together to clean the cities and do community service. The Genocide Museum is truly a must-see for anyone visiting Rwanda. What this country went through and how it is today is inspirational. The experience is very emotional and tough to get through at times, however, the commemoration is well-documented and worthwhile. It really does show hope for humanity after such a heinous past. Some parts were very sad and emotional and quite difficult (loads of tissues are needed!) I would recommend including this experience at the beginning of the trip. The highlight of the area is the Chimp Trek which is amazing. However, this does require a certain fitness level as Chimpanzees tend to swing from tree to tree and do not sit still for you to watch them or interact with them. Steep hillside climbs in dense bush is the requirement of the day. You are accompanied by a guide and three trackers. 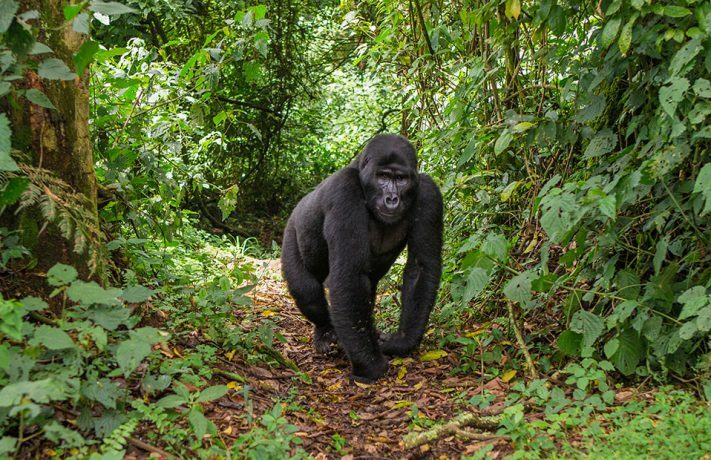 Trackers meet you in the forest, help you get close to the Chimpanzees and stay with them afterwards. Porters are readily available to assist with the trial through the dense bushes and shrubbery. We highly recommend hiring porters to assist the trackers. This process is giving ex-poachers work, therefore giving more security to conservation efforts. 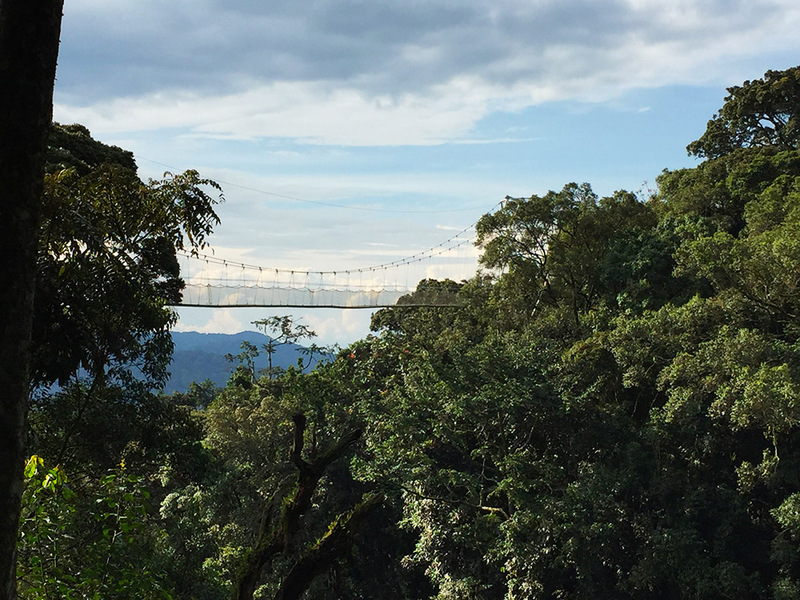 After the trek, if you still have energy, I recommend a Canopy Walk. The view was stunning, and the walk is not strenuous. It is good exercise though the canopy itself can be a little nerve-wrecking at first as the bridge swings while walking along it. 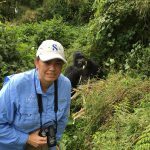 Though strenuous, the Gorilla Trek is much easier than the Chimp Trek. 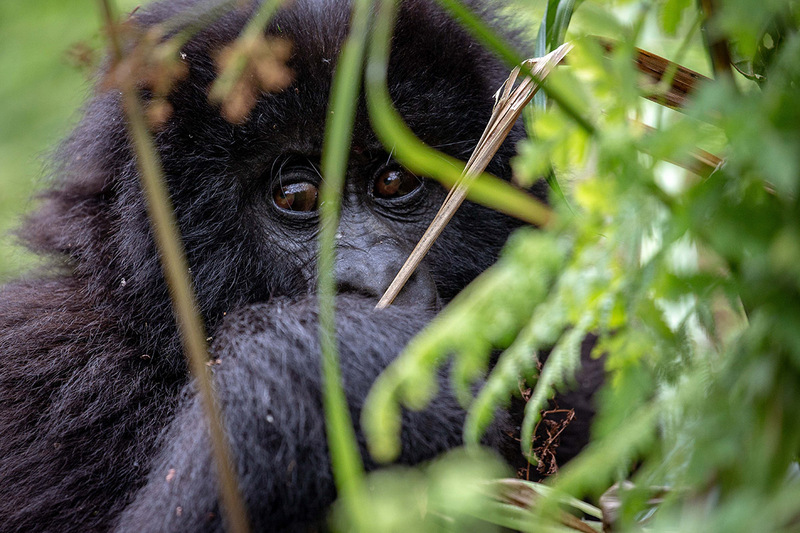 In the morning, guests meet with the head trackers and get separated into groups to visit with the various gorilla families. There are only eight people allowed with each family. Tourists can visit a total of ten families. After allocation, you meet your tracker for a quick briefing, then you get back into your vehicles to visit your next family. Once you climb up to them, you spend about an hour with them and are able to get very close. 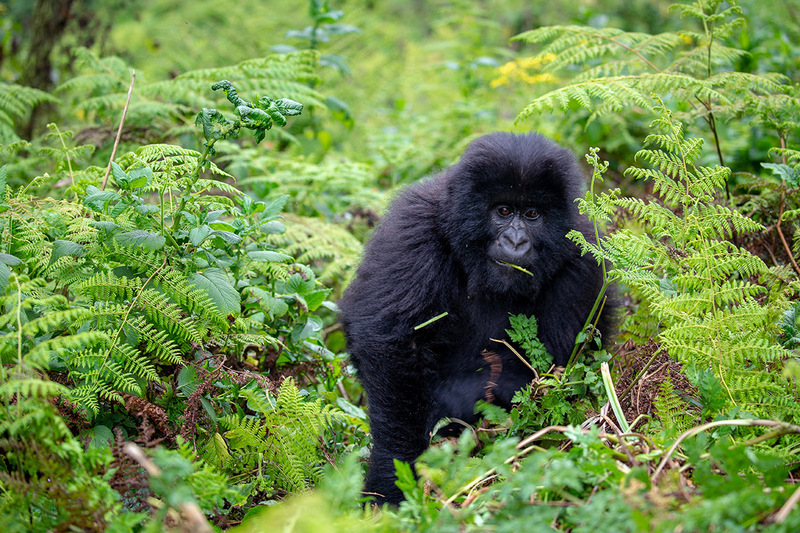 You are accompanied by a safari guide and three trackers (similar to the Chimp Trek). It is recommended to also hire porters to assist the trackers. Originally from Harare, Zimbabwe, I began my career in tourism in the hotel industry. My passion for travel drove me to London, working at a deluxe hotel for two years, where I got the chance to explore Europe. In 2000 I ventured abroad once more, this time to exotic Dubai for two and a half years, as part of the management team for the opening of the magnificent Emirates Towers Hotel. I finally settled in the USA, at Swain Destinations as an Africa specialist. 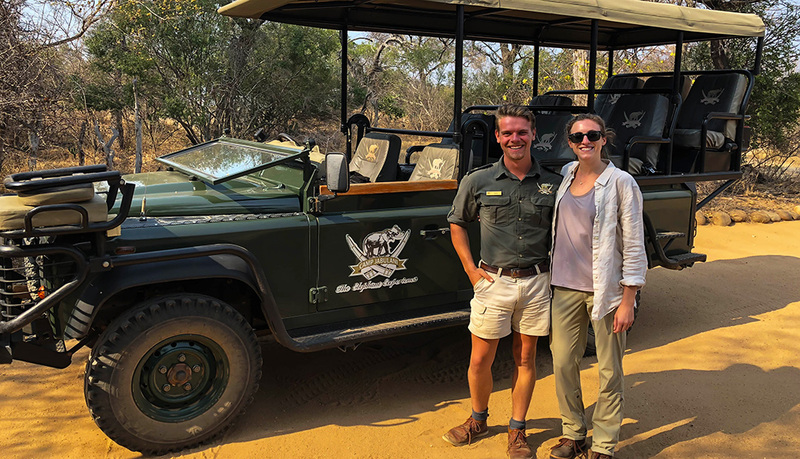 Being part of Swain Destinations has enabled me to continue my exploration of Africa and stay in touch with all the fantastic tourist development in the region. I can still remember my first time flying from the craziness of an African city out onto safari in those small propeller planes. With the hustle and bustle of the city behind you, you prepare for the unknown adventure ahead. On this particular trip, we were circling an airstrip near the Okavanga Delta area of Botswana. I was wondering why we were not landing when the pilot turned and let us know that the local guides were busy chasing a herd of elephants off the runway and we should be able to land once they pass. 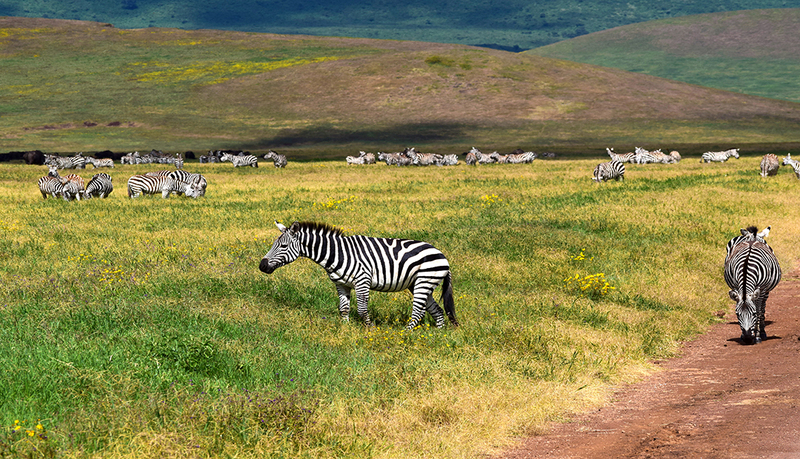 It finally hit me that this is the real thing – not a zoo, not a wildlife park – this is Africa. Once we finally landed, the safari experience began! The morning flew by with one wonder after another. Warthogs running off in the distance with their tails in the air, lions chewing on an evening prey or lying in the grass protecting their meal. The giraffes are munching along from tree top to tree top. 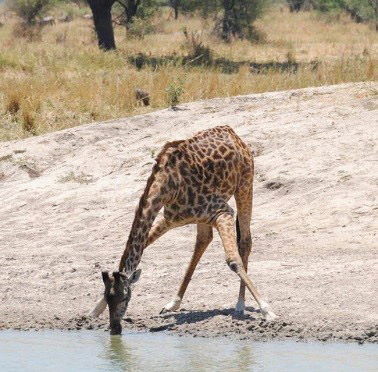 One of the most beautiful sights was when a huge adult giraffe ambled toward a watering hole and slowly crouched down, knees buckling, and took a drink. The next day we hadn’t seen any giraffes, which was odd since they are usually everywhere. 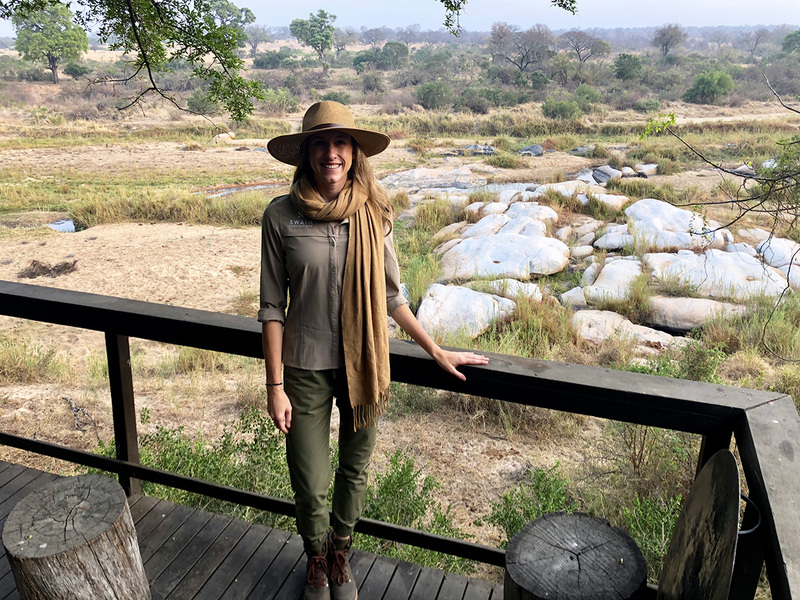 The trackers that join you on safari are incredibly knowledgeable and they had the most fascinating answer: there was a small brush fire a few miles away and the giraffes can smell the burning. We all thought they would be rushing in the opposite direction, but no! Giraffes love the taste of the leaves that have been ‘caramelized’ at the edge. 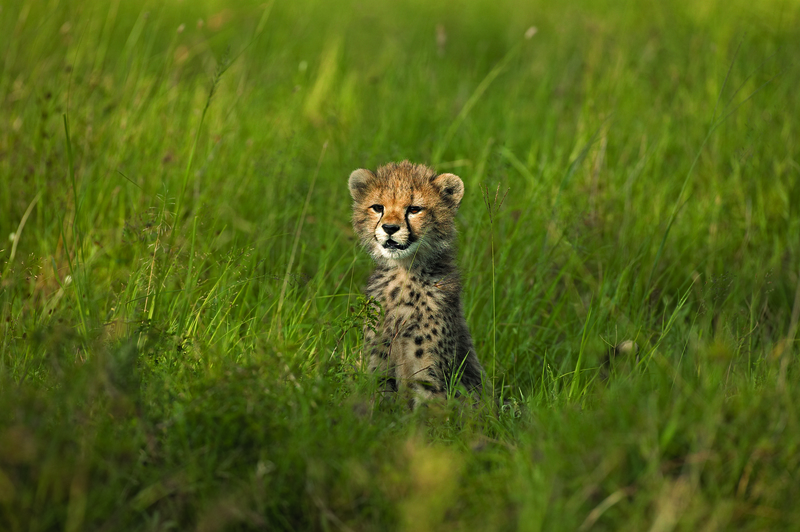 You will discover many amazing aspects of wildlife in Africa. While lounging on the Zambezi River, a huge bull elephant came to take a drink – so we thought. He walked up to the river and looked out across the landscape before slowly wading into the river. 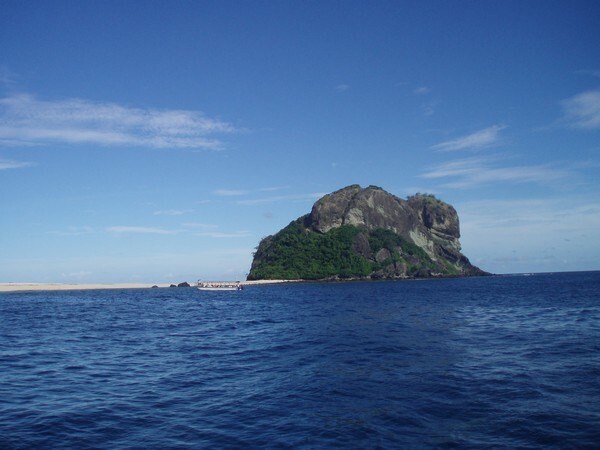 He swam across to the small islands dotting the river, but he did not stop there. Lunging up and down, trunk in the air, he swam from one country to the other! 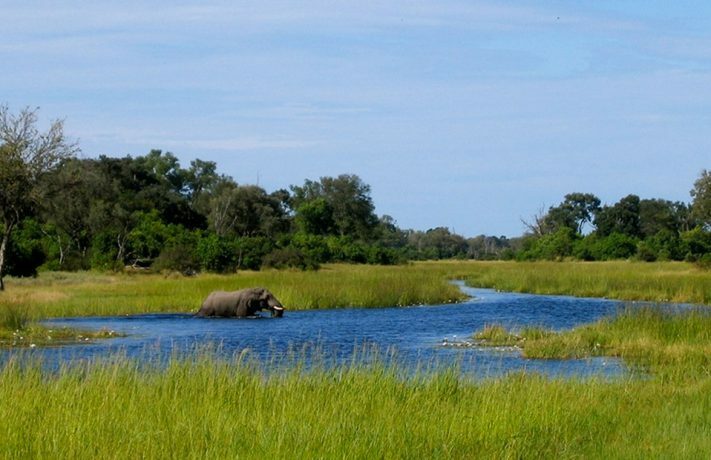 The elephant swam from Botswana to Zambia and it was one of the most amazing things I’ve ever seen. I had no idea an elephant could swim! I like to suggest ending an Africa travel experience in Cape Town, South Africa. Cape Town is a relaxed city by the bay with great last-minute shopping and is perfect for taking time to remember all of the amazing safari adventures you’ve had on your trip. 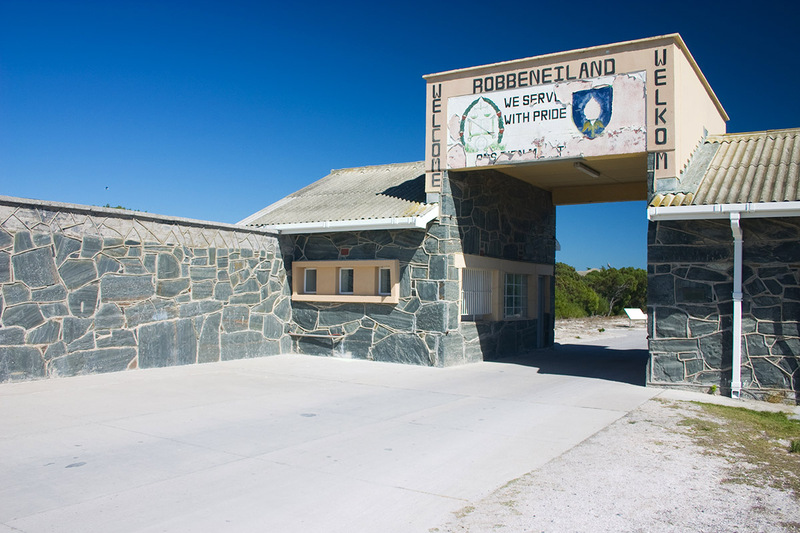 Perhaps you’ll have time for one more incredible learning experience by taking a tour of Robben Island just off the coast. 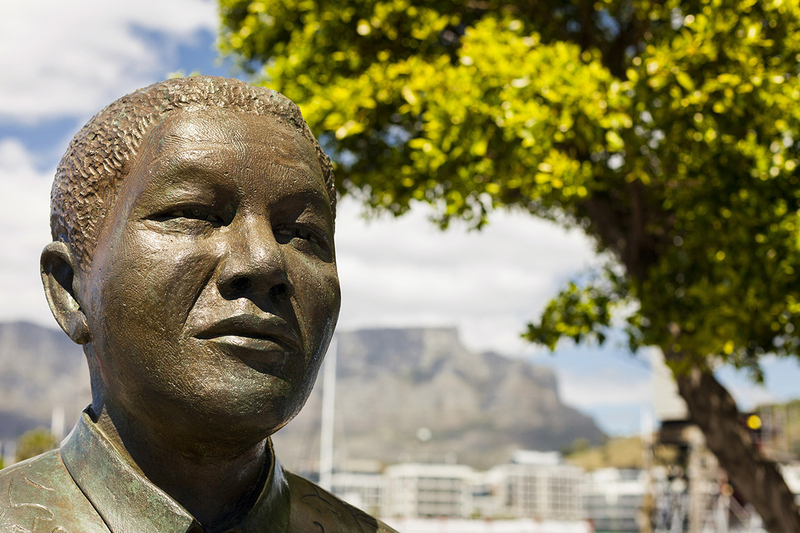 Nelson Mandela served 27 years in prison and 18 of those years were here in an eight by seven-foot cell which you can tour and visit. Even taking the two-hour ferry ride from the mainland is a journey through a historical struggle for equality. It is very emotional as each of the tour guides were once prisoners here. They share their stories, show images of their meager ration cards and explain the daily routine. Though very painful memories to share, they also add the hopeful stories and memories they had of Mandela – the kind and gentle president. Our guide said he and many others – even guards – helped smuggle in his children over the years or helped send his messages to the outside world. You’ll come away, once again as Africa seems to always do, changed and a better, more compassionate person than you came. Yes, it may sound complicated and intimidating at first, but shove those worries down and make it happen. It will truly change you – make you appreciate the simple aspects in life, appreciate the land and our planet, take care of others and give what you can. Once again, Africa changes you. I grew up on a farm in the Central Valley of California which is fondly known as the raisin capital of the world, yes my dad harvested for Sun Maid. Finishing college I spent leisure time working at a ski resort and soon leading tours with Contiki Holidays where the travel bug really hit. 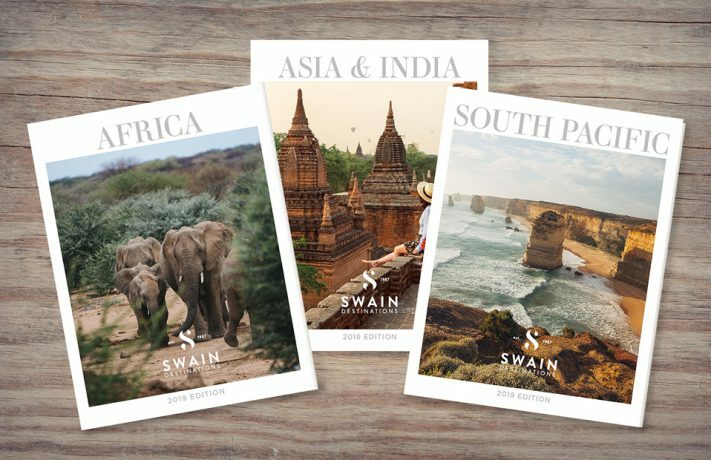 Moving into sales of my favorite countries like Australia, New Zealand and Africa, Swain Destinations was a perfect fit and I’ve enjoyed being a part of this family owned company for 12 years. As I always say, ‘the journey is the reward’.